Spent a day there lately. A fire had recently burnt all of the grass and any remaining crumbling wood structures. The landscape was as powdery fine as the suface of the moon, punctuated by fresh new grass which shows that nature keeps its course, despite the follies of mankind. An erie spilling and scattering of nails lay about foundations where crumbling roofs and walls recently stood. The fresh ground allowed me to find a number of artifacts, including a couple of “Dog Tax 1913″ and 1914 tags. The British were nothing if not organized. I also found a Merry Widows condom tin, which on it stated that three lasses named Agnes, Beckie and Mable were possibly going to be conquested by some enterprising male. Thanks, Jon, for your writing. It spurred me to “motor along the boulevards of Carlstadt (Alderson). Well, walking along them, in any event. I could picture the home guard whirling and about facing with vigour, as so eloquently stated in “Empire of Dust” by David Jones. I cannot pass by on the number 1 highway without thinking of the poor souls who bought the hucksterism of the early 1900s hook, line and sinker. While approaching the town along Range Road 104, I could not help but notice the stone piles that early homesteaders created. Each quarter section had its own little pile along the road, something that is actually pretty rare to see on the prairie nowadays, at least in such close proximity to each other. The land there is so poor that it seemingly couldn’t even grow rocks well, or maybe the glaciers had pity on the land, knowing that future humans would struggle on it as it was without them being further burdened by glacial till. I am saddened that my first trip to the town was after all of the structures had been burnt down. That being said, it was a unique and perhaps not to be repeated opportunity to see things like an old leather slipper poking thru the dirt, or any number of other items that would be lost to the eye because of the thick prairie grass that usually inhabits the townsite. In keeping with the theme of letting life flourish where so many hopes died, I extended a burnt board into an old brick well where a garter snake had found itself, without hope of getting out. I was pleased to see that when I looked later, it had found a way to extricate itself from certain death. In that sense, it echoed the lives of many former human inhabitants of those environs, who found that life was possible where it seemed hopeless. All they had to do was move the hell away. According to some accounts online, the fire seems to have occurred around August 15 following an extended period of hot and dry weather. Lending some credence to this timeline is this report of several grass fires west of Redcliff on August 14, caused by a lightning storm that passed through the area. It’s interesting to note this was far from the first time fire had gutted Carlstadt and Alderson. Fire had visited the village on occasion during the years following incorporation (1911); culminating in the great fire of 1919. On August 25, 1919, a fire tore down Alderson’s business block west of Broadway, causing about $75,000 in damage. For a village already in the doldrums due to drought, this calamity accelerated its irreversable decline. David C. Jones describes the events of the day in Empire of Dust. The image above is a screen capture from the August 28, 1919 edition of the Medicine Hat News. Events such as this underscore the urgency to experience and preserve southeastern Alberta history before it’s gone. Nature seems intent on wiping the memory of Alderson from the earth. 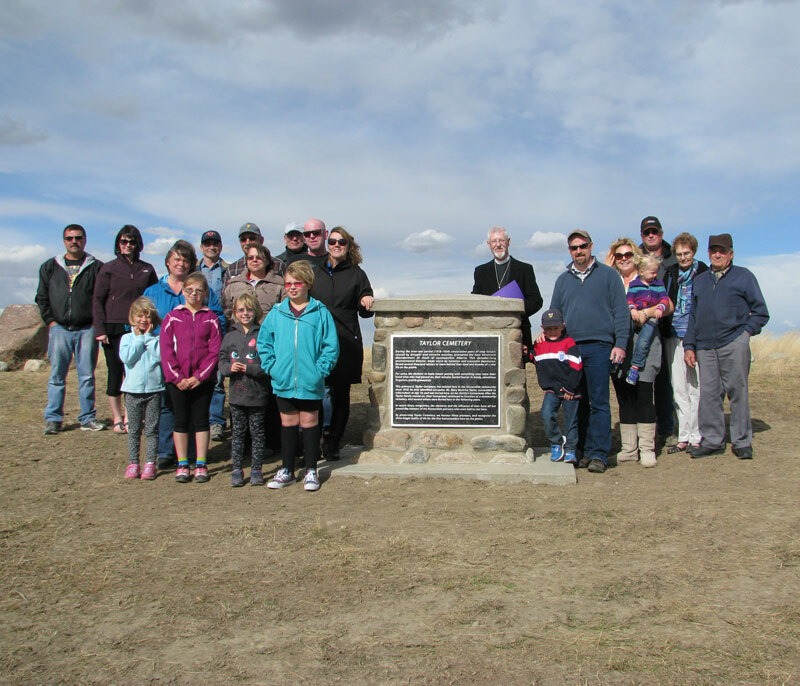 What is the future for southeastern Alberta’s past?